Avascular necrosis, also called osteonecrosis is a condition in which bone death occurs because of inadequate blood supply. Lack of blood flow may occur when there is a fracture in the bone or joint dislocation that may damage nearby blood vessels. 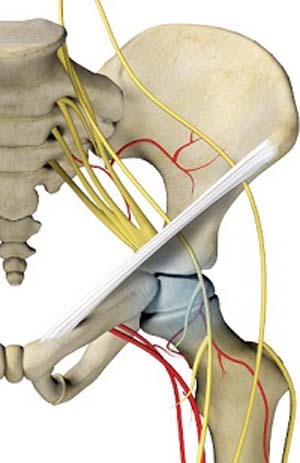 The hip joint is most commonly affected; however, the knee and shoulder may also be involved. The symptoms appear suddenly if it occurs because of an injury. In other situations, the pain and stiffness may gradually appear over a period. Typically, avascular necrosis causes pain and restricted range of motion in the affected joint. Your doctor will diagnose the condition using imaging tests such as X-rays, MRI and bone scans that help rule out other causes of joint pain. The treatment for avascular necrosis aims at preventing further loss of bone and will depends on the bone damage that has already occurred. Conservative treatment would reverse early stages of avascular necrosis whereas surgical treatment may be required in more advanced stages. Medications: Non-steroidal anti-inflammatory drugs (NSAID'S) may be prescribed to help control your pain and swelling. Rest: Restriction of physical activities and use of crutches to decrease weight bearing on your joints may be beneficial. Exercises: Regular exercises that improve your range of motion may be done. Electrical stimulation: Electric stimulation promotes new bone growth to replace the damaged bone. It can be applied directly to the area of damage or through electrodes fixed on the skin. Core decompression: During this procedure, a portion of the inner layer of the bone is removed to relieve the pressure inside the bone. This decreases the pain and allows growth of new blood vessels to stimulate new bone growth. Bone reshaping (osteotomy): This procedure is done in advanced stages and involves reshaping the bone to decrease the stress placed over the affected bone. Joint replacement: Joint replacement surgery is done as a last resort when the bone has collapsed and needs an artificial replacement.